While in college, he teamed up with his friends to establish a company called Bharath Cine Group and began shooting his first film titled Thiranottam, in which he played the role of a mentally retarded servant.The movie was directed by his close friend Ashok Kumar.They were college mates in Mahatma Gandhi College, Thiruvananthapuram. But the film ran into trouble with the Censor Board and was never released. His first major breakthrough came in the film Manjil Virinja Pookal (1980), in which he played a villain. 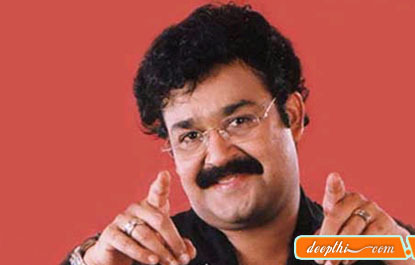 The film was a major hit, and Mohanlal followed it up with more roles as a villain, most notably in Uyarangalil. In the meantime, he ventured into comedies as well, playing a role in his director-friend Priyadarshan's debut, Poochakkoru Mookkuthi, now a cult screwball classic. He was also a part of Mani Ratnam's stage shows, Netru, Indru, Naalai.